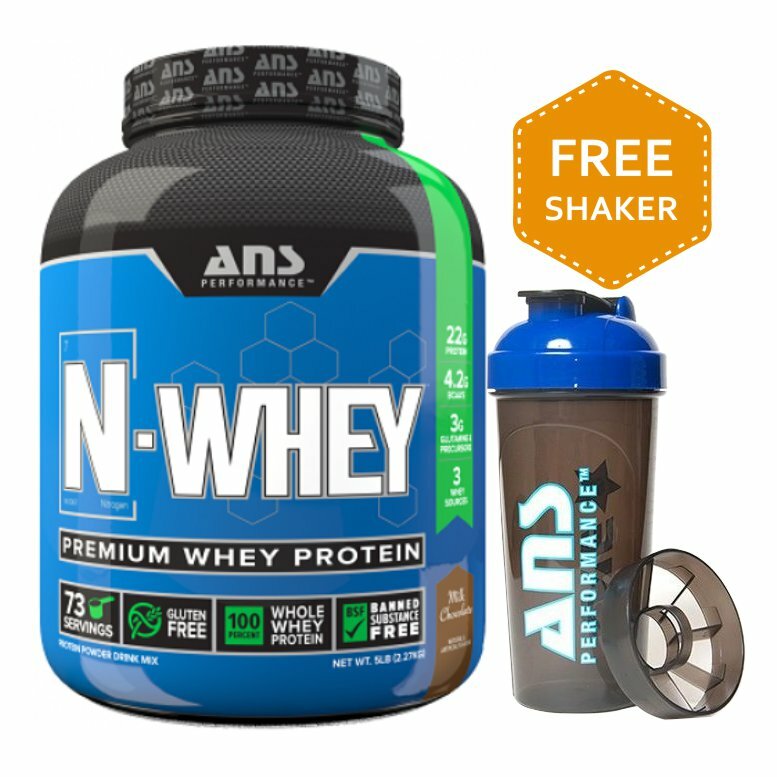 ANS Performance N-Whey: N-whey is a premium, 100% whey protein, made up of hydrolyzed whey protein, whey protein isolate and whey protein concentrate. The added pre-hydrolyzed whey protein is digested faster than standard whey protein, and it has been cold-pressed & cross-flow membrane filtered and is gluten and banned substance free. Additionally, there are no added amino, no creatine, no creamers and is gluten and banned substance free. Within the 5lb size is 73 servings, of which we think tastes amazing and mixes easily. Unlike other whey proteins which can be bland and watery, N-Whey has a creamy, delicious taste profile similar to their N-pro protein. N-Whey protein complex, Cocoa powder, Maltodextrin, Natural & Artificial flavours, Gum blend. USING A SHAKER: Fill your shaker with 8 oz of cold water. Add 1 scoop of powder. Put the lid on tightly & swirl contents slowly before shaking vigorously for 15 seconds. For a thinner shake, try using 10-12 oz of water per scoop of protein. STIR IN A GLASS: Fill your glass with 8 oz of cold water. Add 1 scoop of powder & mix contents in glass slowly with a spoon before stirring vigorously for 15 seconds. MIX IN A BLENDER: Fill your blender with 8 oz of cold water. Add 1 scoop of powder & blend for 15 seconds. For a thinner shake, try using 10-12 oz of water per scoop.